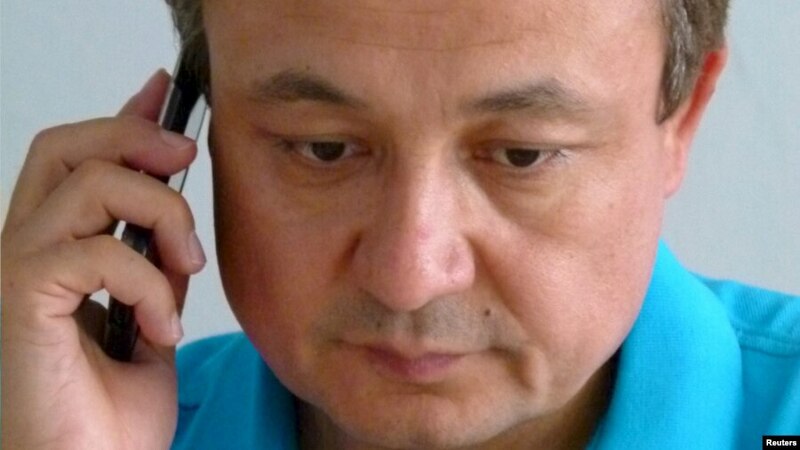 Chinese Uighur activist Dolkun Isa, seen in this July, 6, 2015 photo, is chairman of the World Uighur Conference, which advocates human rights and democracy. India has revoked a tourist visa extended to him, apparently due to pressure from China. T here is more than what meets the eye of the recent controversy on the issuance and withdrawal of visas to Dolkun Isa and Omar Kanat of the World Uighur Congress (WUC). Things are not what they seem. The visas were given despite or because of the antecedents of all the parties concerned. The WUC describes itself as an international organization that represents the collective interest of the Uighur people both in East Turkestan and abroad. The main objective of WUC is to promote the right of the Uighur people to use peaceful, nonviolent, and democratic means to determine the political future of East Turkestan. The WUC is Washington based. It also has a large presence in Germany. Ms. Rebiya Kadeer heads it. A successful businesswoman, Kadeer was at one time one of the five richest people in China. Kadeer was not always at odds with the government, and was once a delegate to the National Peoples Congress. She was also an official PRC representative to the Fourth UN World Conference for Women in 1995. She left China in 1996 to fight for the rights of the Uighur people. She is clearly a woman of substance as well as means. The other organization that was at the centre of the recent events is a somewhat lesser known outfit called Initiatives for China (IFC). The IFC describes itself as grassroots movement dedicated to advancing a peaceful transition to democracy in China. It was ostensibly for the IFC organized Sixth Interethnic/Interfaith Leadership Conference to bring together various ethnic and religious groups from China. This conference series is funded by the National Endowment for Democracy (NED), which in turn is funded by the US Congress. The NED’s aim is to support groups abroad “who are working for freedom and human rights, often in obscurity and isolation.” Clearly it aims to use aspirations for democracy and self-determination to pry open otherwise closed or highly centralized regimes. But very selectively. The NED is not concerned about the situation within many US allies like Saudi Arabia or Israel, but very concerned about what goes on in rivals like China or Russia. It has a clear agenda, which is to further the US interest. It operates in close co-ordination with the CIA, which also reports from time to time to the US Congress. The better-known one is the Vivekananda International Foundation (VIF) that Ajit Doval headed till he joined government, and the other is the India First Foundation, headed by his son, Shaurya Doval. Both these outfits have risen up the food chain due to the munificence of western agencies and other organizations that have increasingly kept them sleek and well fed with conference partnerships and research grants. Little of this money is for free. The advancement of agendas never lets up. But rightist thinktanks the world over usually think alike and act in concert. The raking up the Uighur issue is not without reasons. Along with Tibet, Xinjiang is a perceived weak link in the post 1949 Chinese empire. Both regions are also across India’s frontier with China. Xinjiang or East Turkestan abuts the Ladakh district of Jammu and Kashmir. Like Tibet, Xinjiang also had a troubled relationship with China. Chinese dominance waxed and waned with the ebbs and tides of imperial power in Beijing. After 1912 when Sun Yat Sen proclaimed a republic, by now enfeebled China for all practical purposes lost all authority in Tibet and Xinjiang. Chinese garrisons were driven out and local leaderships assumed complete authority. While Tibet was securely under the control of the Buddhist theocracy, Xinjiang came under the sway of several warlords till 1941 when a renegade KMT general turned warlord, Sheng Tsi Tsai, established a Soviet Republic under the close guidance of the Comintern in Moscow. The Russians now moved in. They took over all international relations and trade. It had consequences in India, because it caused the British to Ladakh’s border outwards by incorporating Aksai Chin to create a buffer. In 1949 Stalin handed over Xinjiang to the newly established Peoples Republic of China of Mao Zedong. It was in the process of occupying Tibet and Xinjiang that China occupied Aksai Chin. In 1949 the population of Xinjiang was comprised almost entirely of various Turkic nationalities of which the Uighurs were the largest. Han Chinese only accounted for 6%. Thanks to a continuous migration sanctioned and blessed by the authorities in Beijing that proportion has now gone up to almost 48%. Much of this is centered in Urumqi, Xinjiang’s capital, which is over 80% Han. The Uighurs are still the majority in the region below the Khotan and Kashgar line. This is the region that abuts India. The gas and oil finds in the immediate region have given impetus to the development of the area. But unfortunately the gains have not been equally shared. The Uighurs still continue to be less well off and deprived. The feeling that it is their national resources that are being exploited by the Chinese authorities to mostly benefit the Han migrants is quite pervasive among the Uighurs. When I visited Xinjiang some years ago, shopkeepers in the bustling ancient marketplace were quite open and vocal about their sentiments. Many Uighurs speak a bit of Urdu due to the burgeoning relationship developed with Pakistan after the construction of the Karakorum highway. Urumqi has several restaurants that advertise themselves as serving Pakistani food. There is also another unintended but nevertheless burgeoning Pakistan connection. Well known Pakistani institutions like the Lashkar-e-Taiba and the Jamat ul Dawa have trained no less then four thousand Uighurs to wage a jihad in their homeland. The ISI connection with these outfits is well known. It helps the Pakistanis keep the Chinese obliged to them.